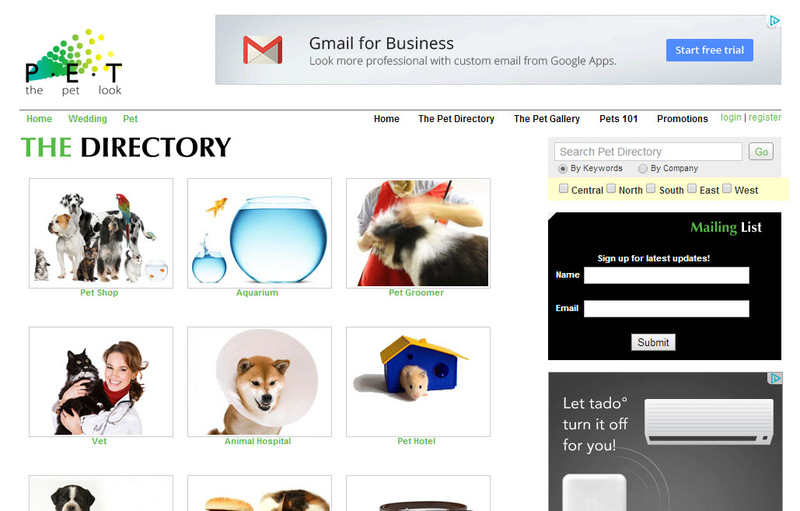 A one-stop shop for pet lovers! The website showcases beautiful pets and encourages responsible pet ownership. She is one of three under The Look series of sites. 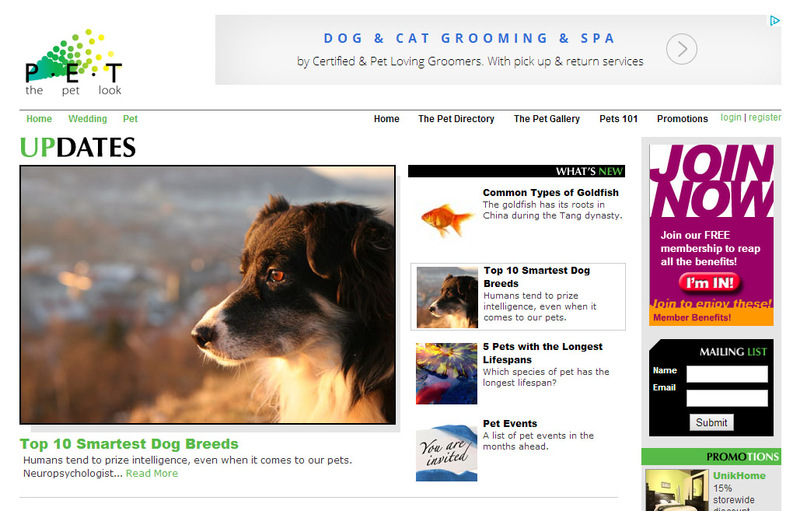 Articles about pooches, felines, birds and more are all written by our e-copywriter. To tie it all up, a customised Content Management System (CMS) was coded to enable easy updating of pet listings, articles and photos.